Fighting Through WW2 WWII | Listen Free on Castbox. Unpublished memoirs of WW2 comrades. 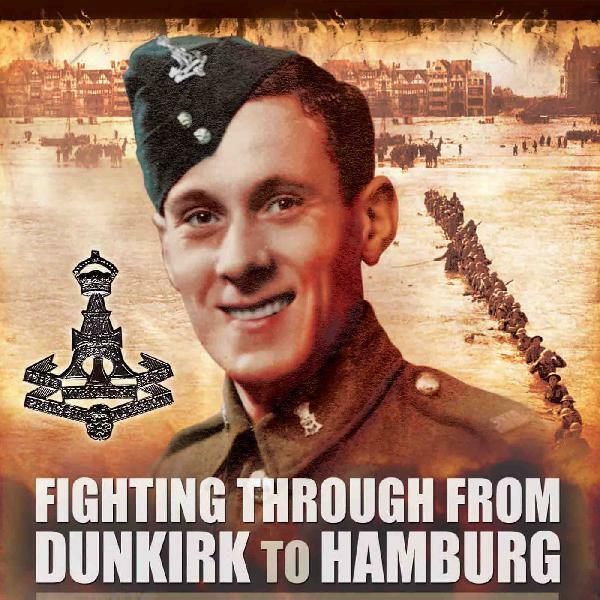 Dunkirk, D-Day and more. WWII. A bonus episode with listener feedback on the Capt Stan Perry interviews, episodes 37-38 plus end of year WW2 history quiz! Please see my Facebook page here. Link to feedback/reviews in Apple Podcasts - Thank you. Capt Stanley Perry was in the British tank regiment the Sherwood Rangers and saw a lot of action in Normandy and Germany. He survived battles, bombs and booby traps to tell of his amazing WWII exploits some 75 years later! Great Unpublished History! Please see my Facebook page here. Link to feedback/reviews in Apple Podcasts - Thank you. Show notes link here. Hear the WWII diary Anne Cheall wrote on holiday in Wales in July 1943. A brief sojourn before returning to the bomb making factory. Paul tries out his foreign language skills. The secret sayings and proverbs which guided Anne throughout her life. Please see my Facebook page here. Link to feedback/reviews at Apple Podcasts - Thank you. Show notes link here. A Wren's Story, by Audrey Johnson - the memoirs of a WREN in a signals team during WW2, based in N Ireland. Plus: How Anne Cheall made the best of limited rations with her wartime recipes. Great, Unpublished History! Please see my Facebook page here. Link to feedback/reviews at Apple Podcasts - Thank you. Show notes link here . How 17 year old civilian Anne Cheall staved off the threat of hunger, the dangers of working in a bomb factory, the humour from working for a German boss, and how she stood in as a surrogate agony aunt for one of her friends who thought she was pregnant! Great, Unpublished History! WW2. Please see my Facebook page here. Link to feedback/reviews at Apple Podcasts - Thank you. Show notes link here. podcast has potential. author has a clear even tone when speaking. i feel after a few episodes the series could do with either radio broadcast supporting audio, interviews with other family members of WW2 veterans, or even an independent author adding their take. i realize this podcast is for the authors own fathers memoirs, but collaboration with other independently published sources could make for a more enjoyable presentation and authors supporting authors is always a great thing. i will try to check back in but its just not capturing my attention. a great effort nonetheless. Excellent podcast. I really enjoy the true and first hand stories of these brave men. Thank you very much Paul. Many thanks for your feedback Johanna. Pleased you enjoy it. Paul. I absolutely love the podcast. Breathtaking stories with a combination of tears, laughter and chills down my spine. Definitely 5/5 stars.